Off to Mexico we go for the 2018 WGC Mexico Championship where Dustin Johnson will be looking to defend his crown after last year's win. Last year was the 1st instalment of this tournament after it was switched from Doral's Blue Monster course in Florida due to the controversy playing at a Donald Trump course. Once again we will be using GolfStats.com to compile our list of sleepers. We will be looking at their performance charts from last year, hot streaks and who putts well on Pao Annua greens. 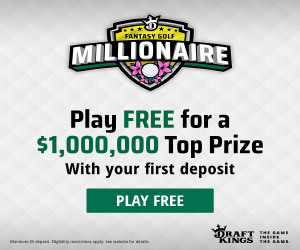 If you are playing fantasy golf this week make sure to check out their website for advanced stats analysis of the Mexico Championship as well as their preview for the tournament. Fisher always flies under the radar because he mainly plays on the European tour but he is a great player who currently ranks 27th on the World Gold Rankings list. He finished 3rd last year at this event and is 7 for 7 in cuts if you go back to the days when it was played at the Blue Monster in Florida. He currently has made 7 straight cuts on the European tour. Before his missed cut at the AT&T Pebble Beach event, Woodland was having one of his best years. He has 4 Top 25's and 2 Top Ten's already and last year he finished 38th here. With the thin air he is going to be able to crush the ball and leave himself some short approach shots. With a year under his belt I think he improves to a Top 10 this time around. One of the best names to pronounce in the game Joost is also a mainly European Tour player. I think he may surprise this week as he is in a bit of a funk right now missing the cut his last event and sub-par performances before that. Last year, however, he finished 25th and is 3 for 3 in cuts made in this tournament. His putting was off last year but he ranked 1st in GIR so he could of had a Top 5 finish had he made any putts. With no cut line this week I don't have to worry about him missing which would be a concern due to his recent form. Ok this pick is tough because there really is only one year of course history to go on, so any pick is only based on last year's history. Obviously in that scenario Dustin Johnson has the best course history seeing as he won it all. But I'm looking for a sleeper pick for this year and I'm going with Pieters based on his stats on this course last year. He was 25th in Fairways Hit, 21st in GIR and 7th in putting. He finished 5th last year but he may go slighty under-owned this week due to his recent form where he has finished outside the Top 30 in his past two events. A big part of identifying fantasy golf sleepers each week in looking at past history and having all the stats possible to find the gems. There are many tool sites out there and you can try them out but our recommendation is GolfStats.com. 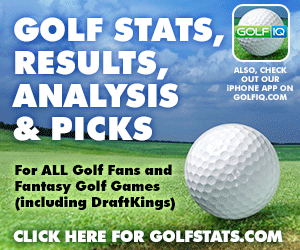 They have the largest database of historical golf stats we have seen and their write-ups every week are invaluable if you play fantasy golf on a consistent basis.